Mount Rushmore Attractions web site, a directory listing the attractions, places to see, things to do and other neat places in the Mount Rushmore area of South Dakota. Includes visiting Custer State Park, Mt. Rushmore, Crazy Horse Mountain, and other attractions throughout the Black Hills. Custer City is the oldest town in the Black Hills and is the ideal setting for touring the Black Hills. The city is surrounded by beautiful granite outcroppings and is close to every major attraction in western South Dakota. Custer is with out a doubt a family friendly city with a large number of motels, campgrounds, restaurants and a whole array of outdoor recreational activities including hiking, biking, fishing, golfing, picnic areas, trail rides, swimming and camping. Deadwood is truly one of those towns people have to experience to believe the fun that awaits them. Deadwood is known for its gold mining heritage (the whole city is an historical landmark) and is everybody's favorite fun spot with its "old west" style casinos (more than 85 of them) and nearly 50 restaurants and dozens of nightclubs. Deadwood also includes plenty of family attractions including great skiing, hands on gold panning and the area's largest fun park features motorized race cars, crazy golf and a huge arcade area. There's truly a wonderful mix of entertainment in Deadwood. Even though Hwy. 16 is not a specific town it is the road connecting Rapid City with Mount Rushmore and is the corridor to get to attractions, entertainment and camping. Hwy. 16 hosts such great attractions as the Reptile Gardens, Bear Country and Rushmore Waterslide. Hill City is an old west mining camp turned tourism mecca and is located in the heart of the Black Hills. Hill City provides outstanding visitor services, great restaurants, unique shops and outstanding accommodations and attractions. Hill City is home to fashionable boutiques, galleries and specialty shops and several times each day the whistle of the Black Hills Central Railroad "1880's Train" can be heard as she leaves and returns from her excursion to Keystone. Located at the Southern end of the beautiful Black Hills National Forest, Hot Springs is the host to exciting and spectacular attractions such as Wind Cave National Park, The Mammoth Site, Evans Plunge, Angostura Recreation Area, and is only minutes away from Mt. Rushmore National Memorial, Crazy Horse Mountain, Custer State Park (the nation's second largest state park and home of thousands of buffalo!) and Jewel Cave National Monument. With its many accommodations and restaurants Hot Springs provides the perfect location to relax, golf, fish, bike, tour or swim, you can do it all in Hot Springs. Keystone is "Home of Mt. Rushmore" and is a perfect vacation destination. It is located only 2 miles from Mt. Rushmore and provides easy access to Custer State Park, Crazy Horse Memorial, scenic Iron Mountain Road, Norbeck Wildlife Preserve including the "Wildlife Loop" and the Needles Highway through Custer State Park. Keystone offers visitors 50 gift shops and restaurants, hundreds of campsites and many family approved attractions. Keystone's historic 1880 boardwalk offers some of South Dakota's most unique shopping with its 40 specialty shops, all within walking distance from your room. Rapid City is named for Rapid Creek which flows though it and is the second largest city in South Dakota. Nestled on the eastern foothills of the Black Hills, Rapid City is the region's vacation hub for tourists seeking great adventure and fun. Multiple highways lead out from Rapid City, in all directions, providing easy access to the Black Hills' main attractions or with its multiple parks, gardens, golf courses, hiking and bike paths Rapid City offers plenty for those who want to enjoy this charming and hospitable city. Spearfish is nestled in the Northern Black Hills and is a city of natural beauty. Spearfish Canyon is a breath taking experience of nature's beauty at its best. Spearfish offers visitors small town charm with specialty shops, art and cultural attractions, parks and numerous outdoor recreation activities. With its charming accommodations and delightful dining Spearfish is the perfect family vacation destination. Sturgis is a quiet, neatly groomed foothills town located 20 some miles Northwest of Rapid City. This conservative, respectable town offers visitors fine dining, shopping, and area attractions; that is until the transformation to the world's biggest motorcycle rally. The first of August every year, hundreds of thousands of bikers come from all over the world to participate in this famous "born to be wild" celebration of biker freedom. Welcome to Mount Rushmore and the Mt. Rushmore Attractions web site, your complete guide to entertainment, attractions and other fun places to experience while vacationing at Mount Rushmore in the beautiful Black Hills of South Dakota. Your travel and vacation plans come alive when you enter the majestic Black Hills with its numerous attractions, including entertainment, dining, motels, shopping, camping, Deadwood gambling, Sturgis camping and bike rally. In addition to visiting the awe-inspiring Mount Rushmore be sure to view the magnificent carving of Crazy Horse and take a trip through Custer State Park, in the heart of the Black Hills (where the buffalo roam). Or experience Sturgis, where motorcycles rule during August, time of the world famous Sturgis motorcycle rally. Whatever your vacation pleasure,Mt. 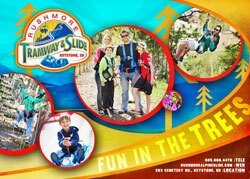 Rushmore Attractions web site will provide you with information on where to go and what to do to make your vacation a wonderful event. Happy vacationing at Mount Rushmore in the Black Hills of South Dakota!